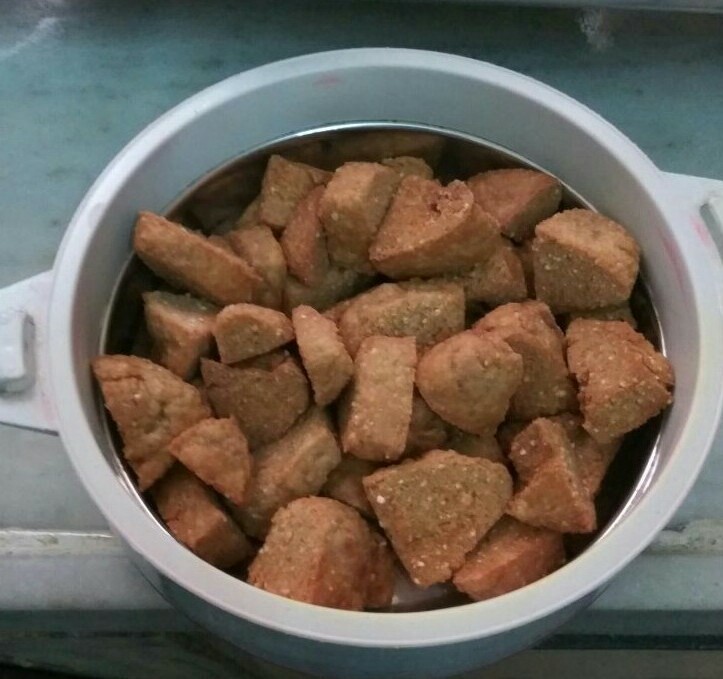 Dal baati is a traditional Rajasthani treat. Rajasthan cooking in general has its own unique flavours where the simplest and the most basic of ingredients go into the preparations of delicious dishes.If u have ever been to Rajasthan in the winter months,you will know that this is a wonderful way to warm yourself up on a cold day.There are so many ways of making Dal baati and everyone has their own tips and tricks,you can try any of them.I have came up with this recipe,its easy and not that difficult.In this modern times we all have forgotten our traditional dishes,only pizza,pasta,street food and all are known by our kids.So i decided to make dal baati for my Son a really healthy food. 1-For making dal,soak dals together for minimum 1 hour. Pressure cook with 2 cups of water for3-4 whistles on medium flame. 2-Grind chopped tomatoes,peeled and chopped ginger ang green chilliesto make a puree. 3-Heat kadai with ghee in medium flame and add jeera, followed by asafoetida.Add dhaniya powder and turmeric on low flame. 4-Add ghee in a pan,than put tomato puree and mix well.Add chilli powder,garam masala and salt.Fry for 2 minutes or until ghee floats on top. 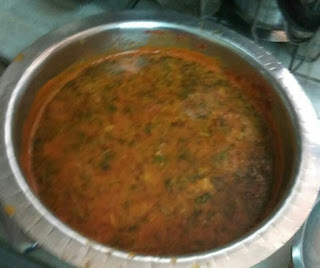 5-Add mashed dal and water to adjust the consistency.Let it boil for 2minutes.until it reaches the desired consistency.Add coriander leaves and switch off the flame. 1-For baati,in a bowl mix flour,semolina,salt,ajwain and ghee .Add water little by little and make a very stiff dough.It should not b smooth and should not have cracks. 2-Heat a heavy bottomed pan. 3-Place a strainer inside it. 5-Cover the lid and maintain the heat at medium low flame. 6-After 15 minutes open the lid and turn the baatis with a spoon. 7-Keep turning after every 10minutes. 8-Baatis will turn brown and cracks will be there all over the baatis after 30 to 35 minutes. 9-If u want to check weather the baati is cooked or not open up a baati and it will be all cooked inside.If the dough is still gooey on the inside it means baati is not cooked,than cook it for more 10 minutes. 10-Drizzle ghee over it and enjoy with dal by making a churma out of baati than put it in dal or which ever way is suitable. Iade it according to your method and everyone at my place just enjoyed eating it.